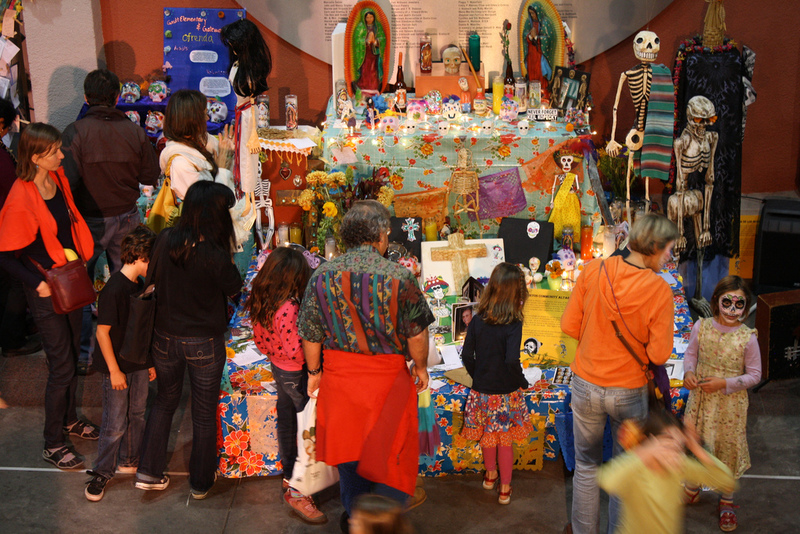 Visitors of all ages learn about and experience a Day of the Dead Festival. Guests enjoy traditional dancing, crafts and authentic Mexican food and entertainment. View a display of altars honoring lost family and friends that are decorated with flowers, favorite foods and beverages. This Event is from noon-5:00 p.m. on Sunday, October 30, 2016, the Atlanta History Center will host a free Day of the Dead-Dia de Muertos program. So enjoy the elaborately decorated altars that honor lost loved ones, a “Catrinas y Catrines” costume contest, crafts, authentic Mexican food, entertainment, & more. This is a free admission day at Atlanta History Center. Guests are invited to enjoy the outdoor festival, and if time permits, to continue their free day adventures with a variety of offerings, from exploring signature and traveling exhibitions to historic house experiences and strolls through beautiful gardens and down trails.